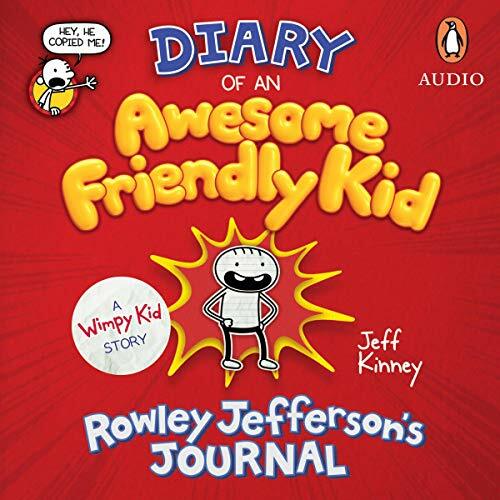 Showing results for title "Diary of an Awesome Friendly Kid: Rowley Jefferson's Journal"
Rowley's best friend Greg Heffley has been chronicling his middle-school years in 13 Diary of a Wimpy Kid journals...and counting. But it's finally time for listeners to hear directly from Rowley in a journal of his own. In Diary of an Awesome Friendly Kid, Rowley writes about his experiences and agrees to play the role of biographer for Greg along the way. (After all, one day Greg will be rich and famous, and everyone will want to know his life's story.) But Rowley is a poor choice for the job, and his 'biography' of Greg is a hilarious mess.